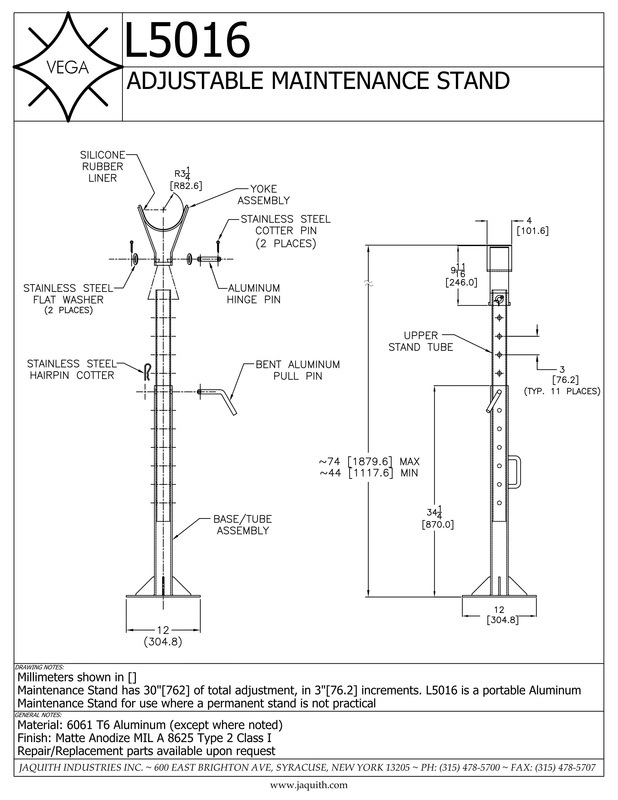 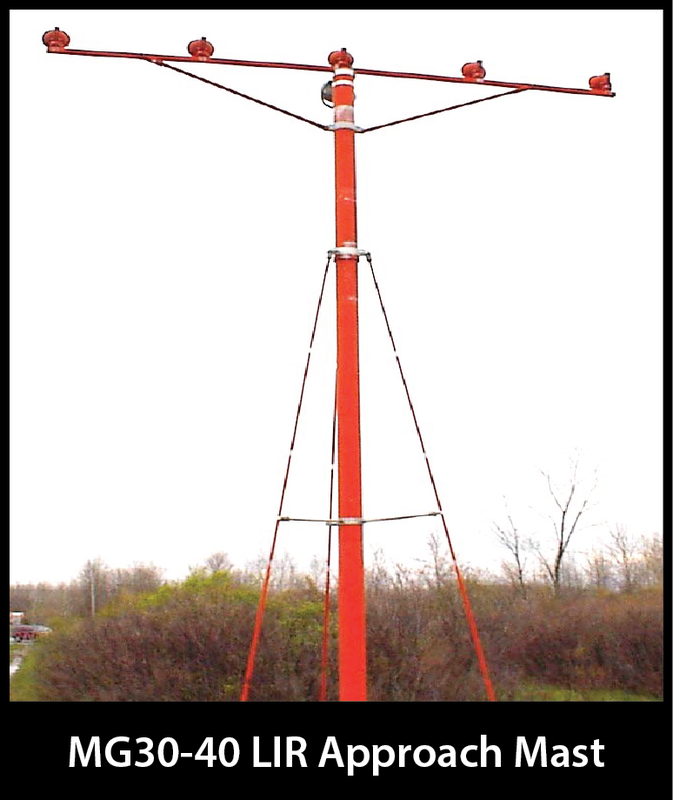 The Fiberglass Frangible Approach Mast was developed by the Federal Aviation Administration as a Low Impact Resistant (L.I.R.) 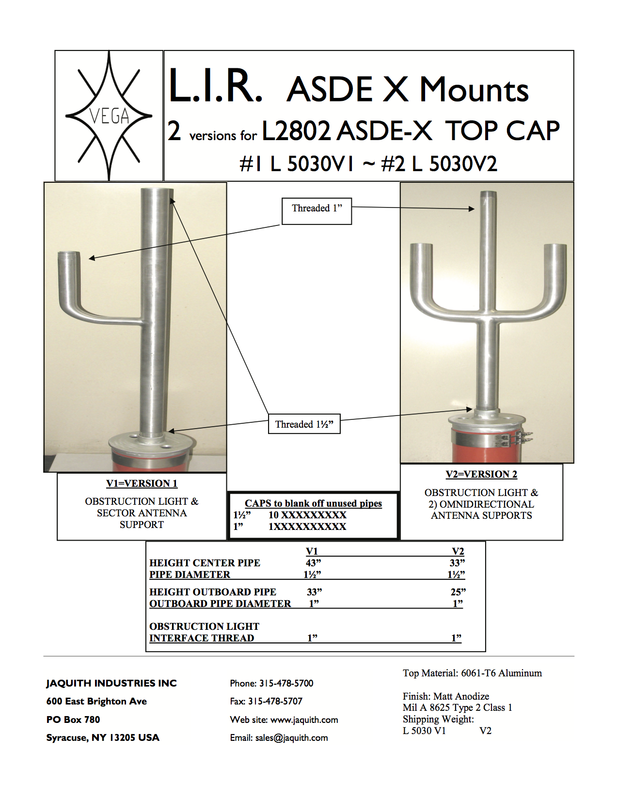 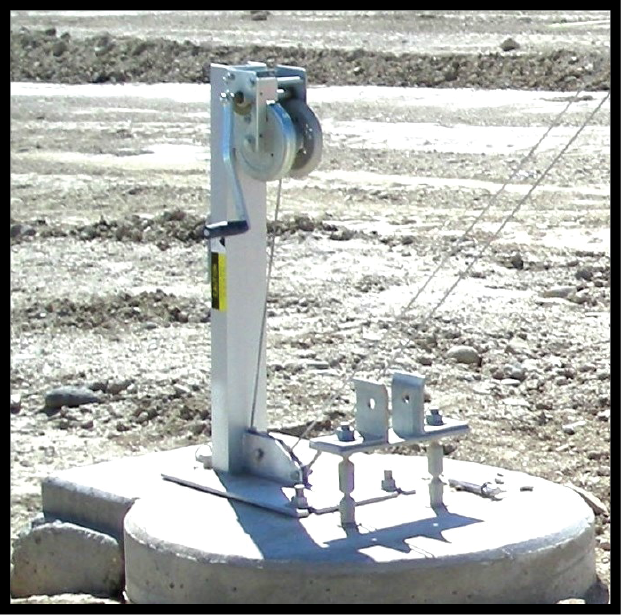 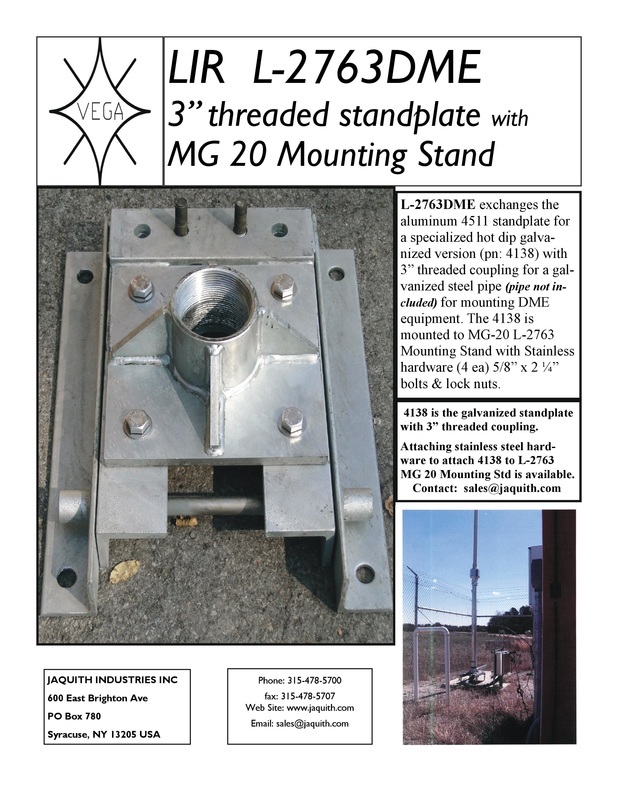 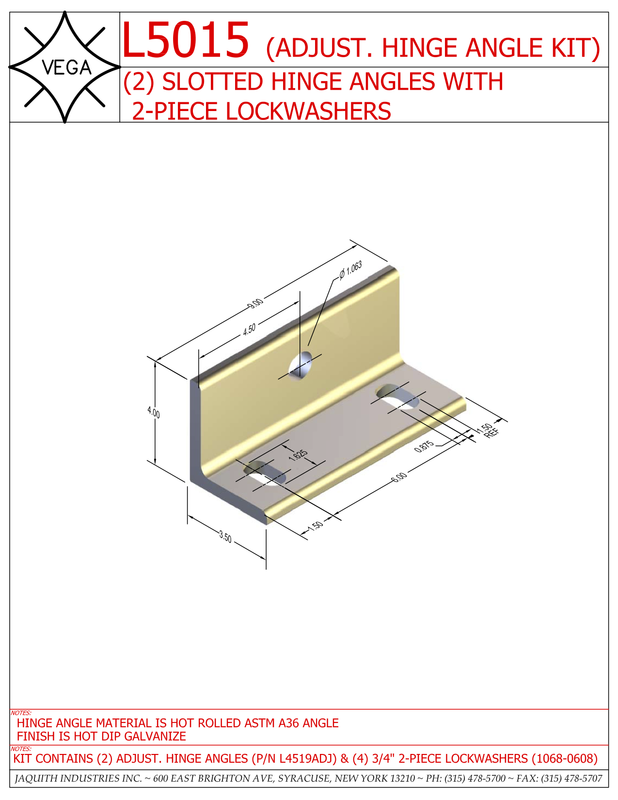 support structure for high intensity (ALSF2) approach systems from 6 ft. to 128 ft. 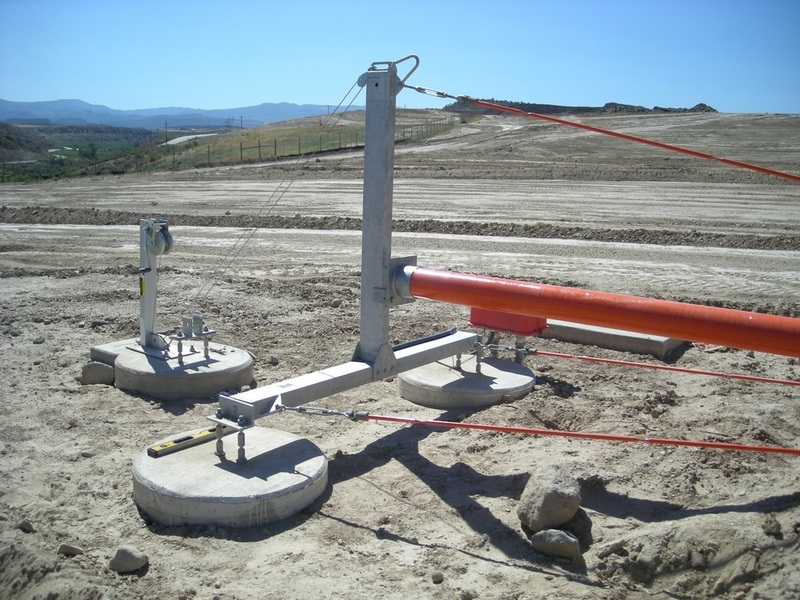 The essential function is to provide frangible support for equipment installed in the clear zone. 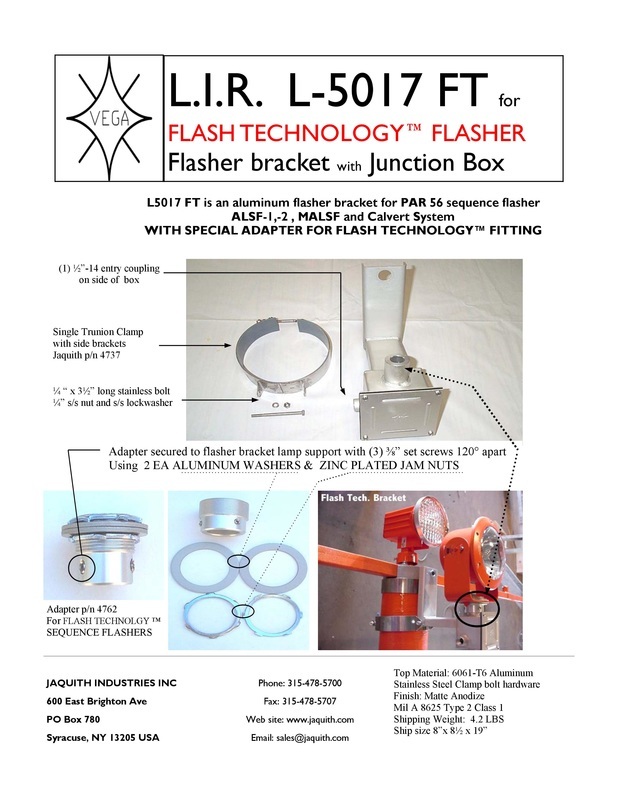 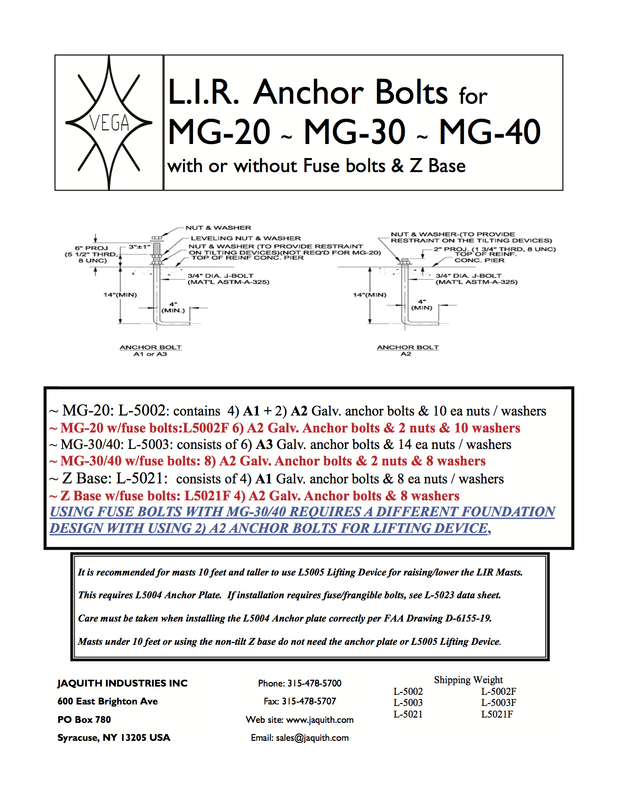 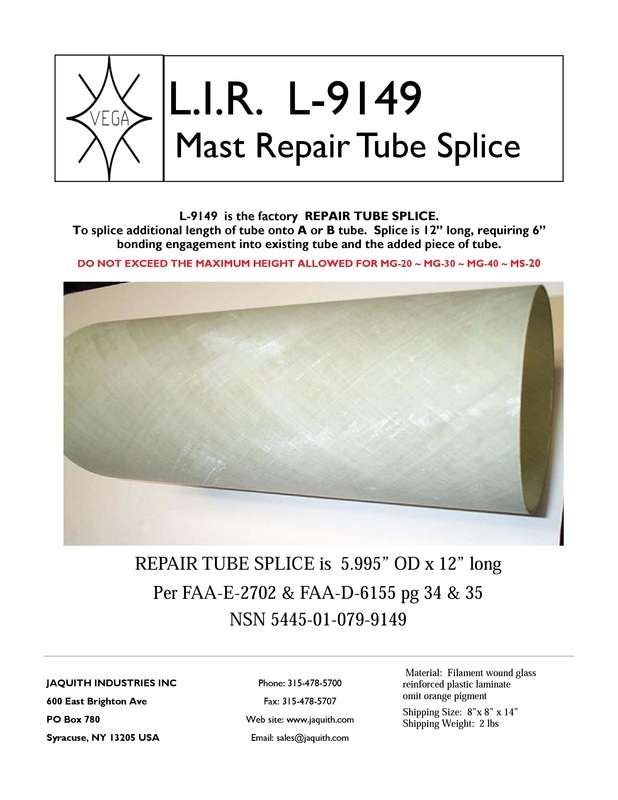 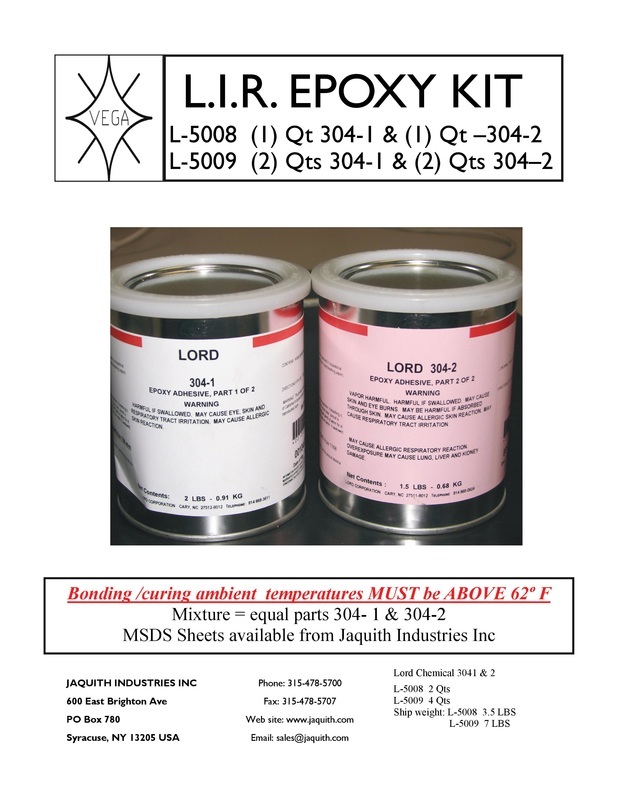 In 1979 Jaquith Industries received a government contract as the lead manufacturer to develop the LIR Fiberglass Frangible Mast. 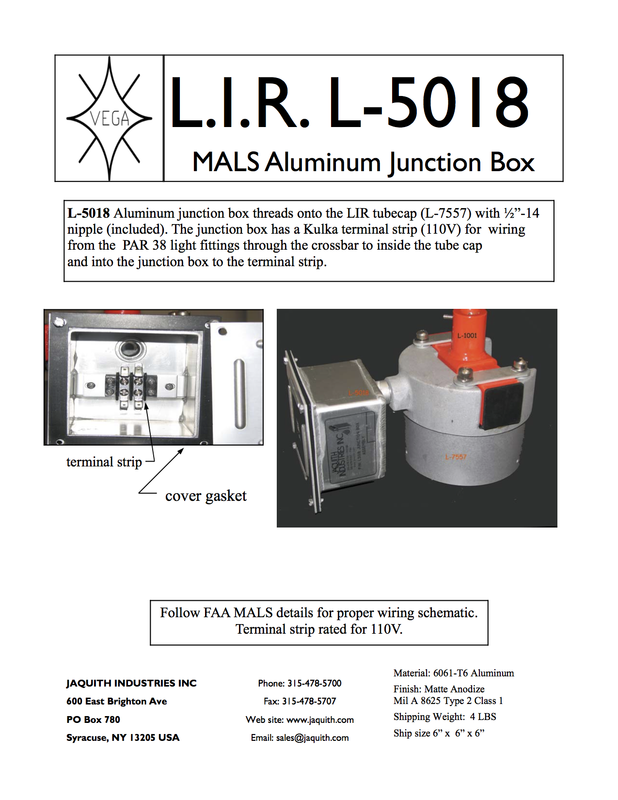 Since then, Jaquith has expanded the role of the LIR Mast to include a variety of other applications. 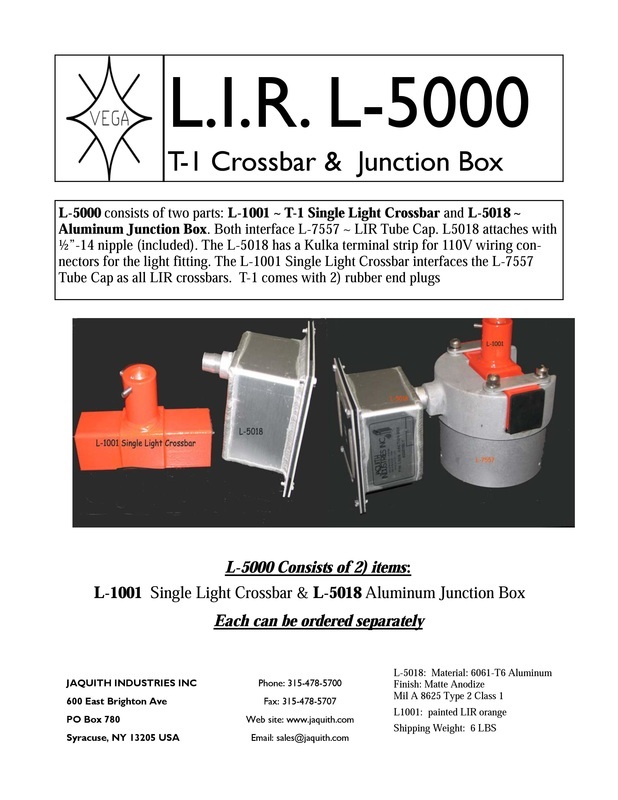 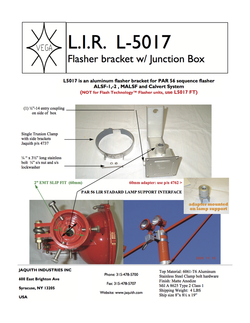 LIR is defined as a break-away mast for use in structures that support airport approach lighting & support systems. 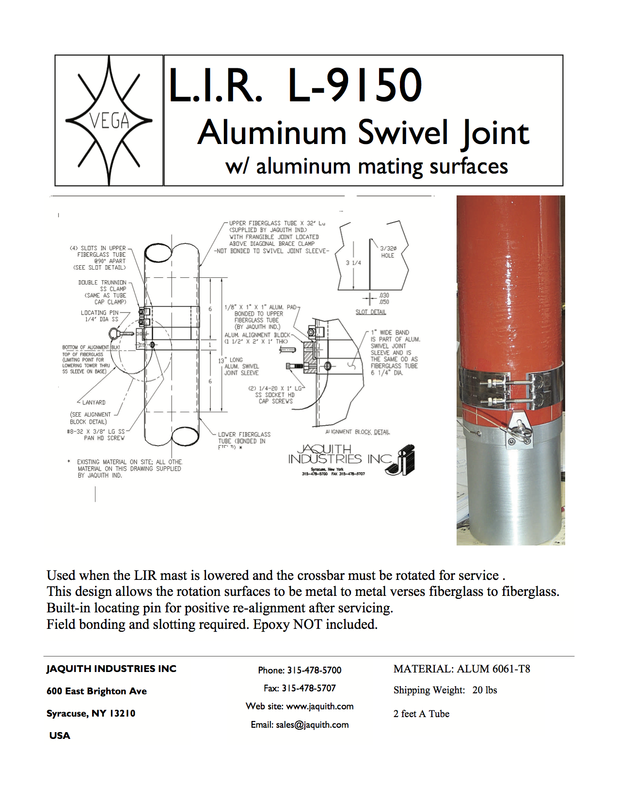 The LIR design will withstand 100 mph winds without ice and 75 mph winds with a 1/2 inch radial ice load. 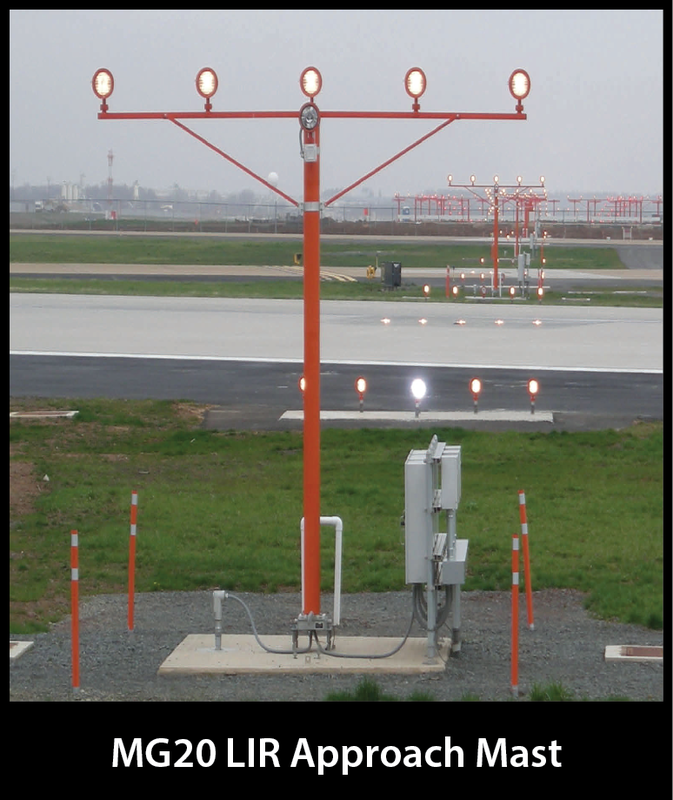 Yet, should an aircraft slip below the glide slope and impact a support structure, the structure breaks into pieces without catastrophic damage to the wing support. 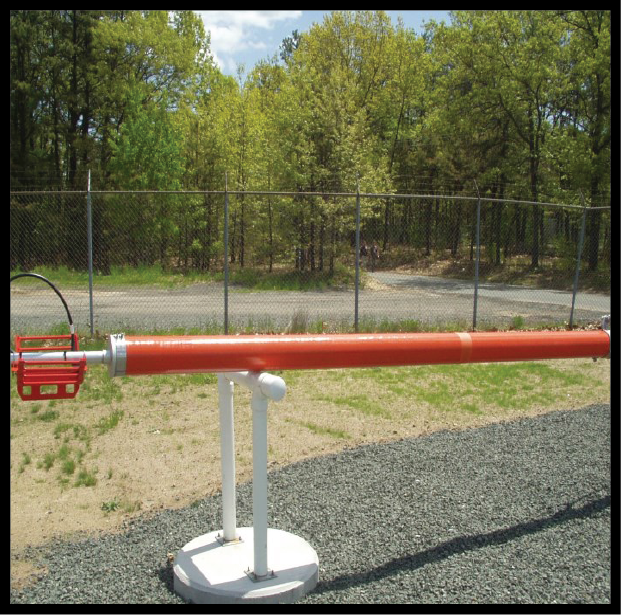 Jaquith's Low Impact Resistant Fiberglass Frangible Mast supports a wide variety of equipment from approach lighting, to weather, radar systems, and more. 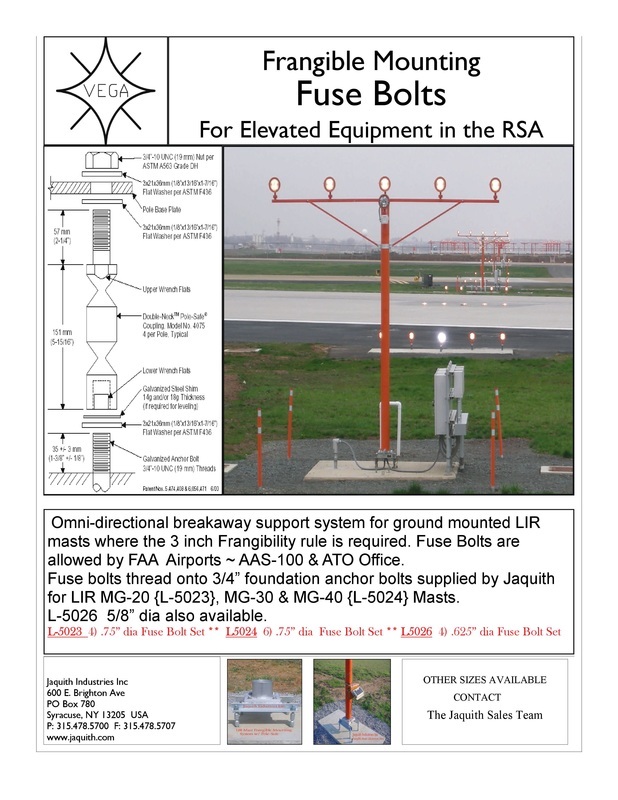 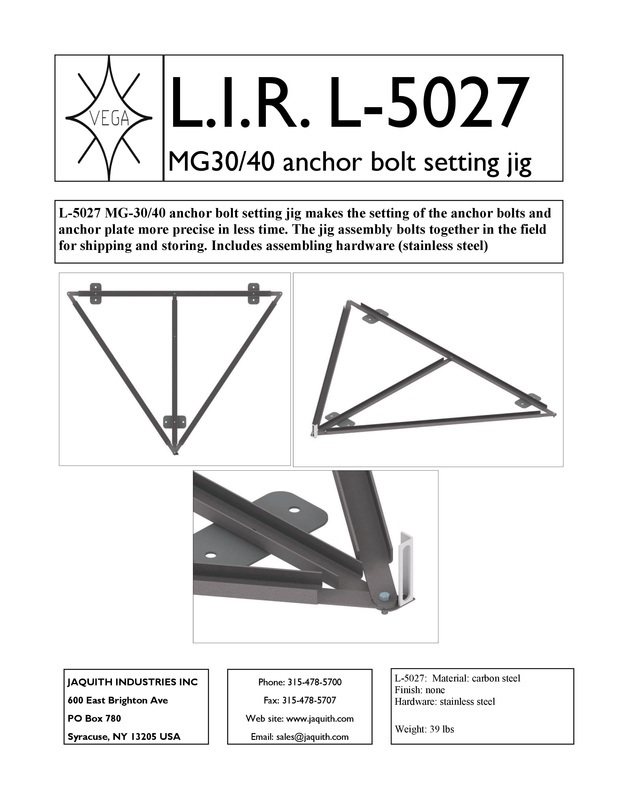 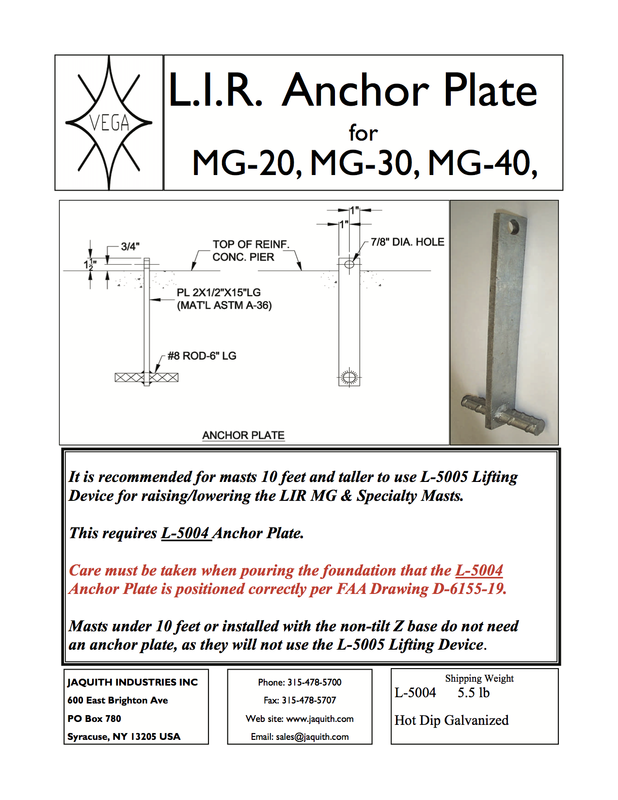 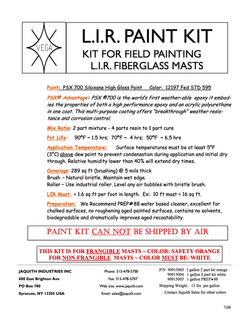 The LIR Mast is able to rigidly withstand winds of 100 mph, while maintaining frangibility should an aircraft strike the mast. 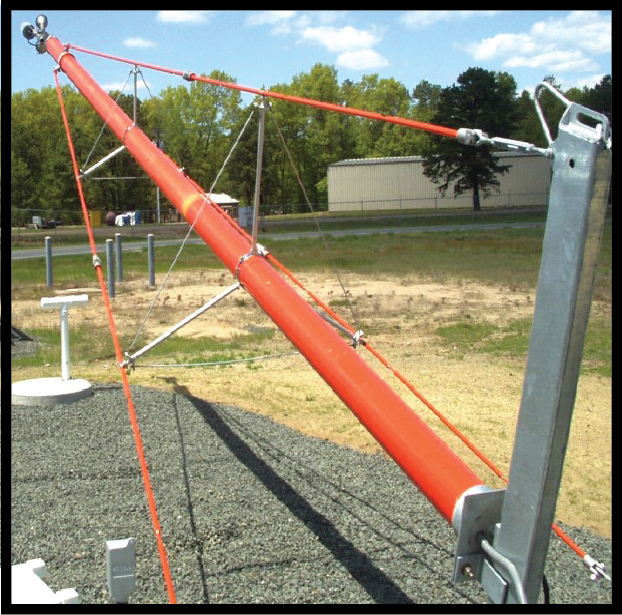 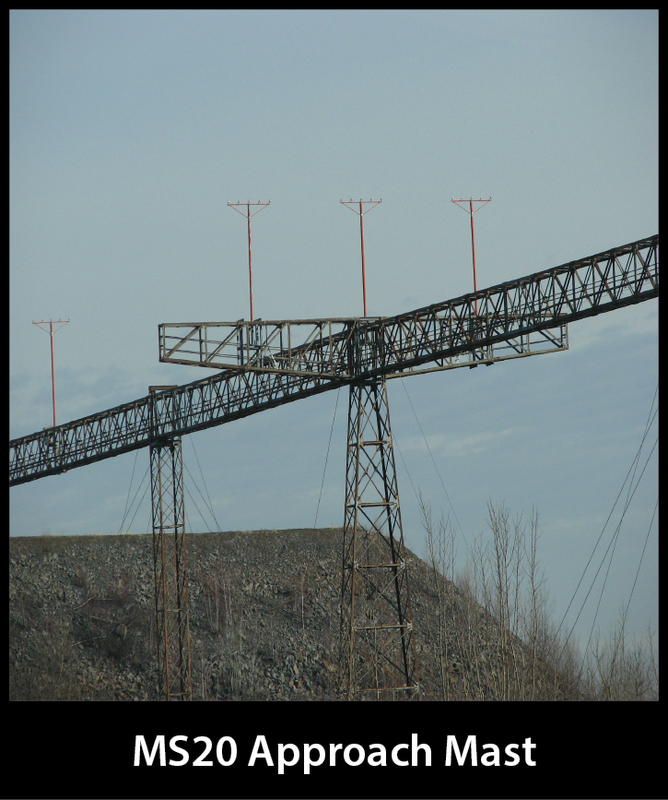 The masts lightweight fiberglass construction is extremely resistant to UV, temperature, weather, and corrosion, while requiring little to no maintenance throughout its life cycle. 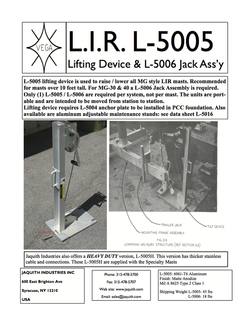 Should maintenance be required, the mast can be lowered to ground level with as little as one person.